It was the pictures that got small. 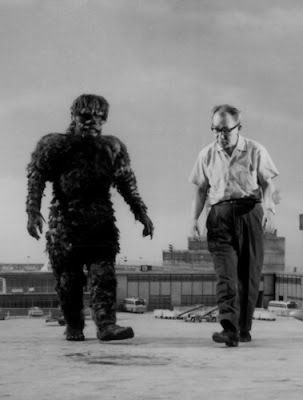 This looks like a still from the strangest buddy film ever made - the story of an elderly Japanese gentleman and a misunderstood Kaiju. "Elderly and alone, Taro Hashimoto just wanted someone to listen. Colossal and destructive, Gaigorira just wanted to be understood. Framed for a crime they didn't commit, the two must run for their lives...and learn a thing or two about friendship." The car chase scene at the end was fantastic. Box-office gold! Somebody make this movie!